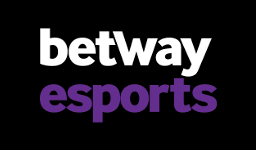 These days there are a lot of betting sites that offer cash out as a feature on traditional sports as well as eSport bets. It can be a really nice addition to the betting experience, but before using it there are some important things you should know of. In the following guide we have not only covered these, but we’re also listing some of the best cash out betting sites and giving a beginner’s explanation to what the cash out feature really is. Cash out is a feature that can be found on selected matches that some (not all!) bookmakers offer and is usually clearly marked on those matches. Placing a bet on such a match, this feature will give you the option to, at any point during the match, cancel your active bet and get a certain amount of money for doing so. If you’re currently ahead with your bet (likely to win it), you’ll get a portion of the earnings that you would by winning the bet at the end of the match. This way you secure yourself a profit in case the tides would turn and the bet would end up being a losing one. Should you, on the other hand, be behind with your bet (likely to lose it), you’ll get a portion of the amount that you staked back. This way you’ll cut your losses in case the bet does indeed end up being a losing one. Team A and Team B are facing each other and you have placed a €50 bet that Team A will win the 1st map in the match. This has been done at an odd of 1.40 giving you a profit of €20 should they win. After 15 minutes in the match, Team A is ahead, but they aren’t impressing and you feel that Team B could very well turn things around. At this stage the bookie may offer you a €10 profit if you decide to use the cash out option and end the bet right here, right now. It’s only half of what you would get by winning at the end of the match, but you won’t risk losing. Yet again 15 minutes have passed in the match and in this example Team A is behind and it doesn’t seem likely to you that they’ll recover. By using the cash out option it may be that the bookmaker offers you €20. This means that you’ll lose €30 of your original stake, but instead of losing all €50 your loss will be less painful. 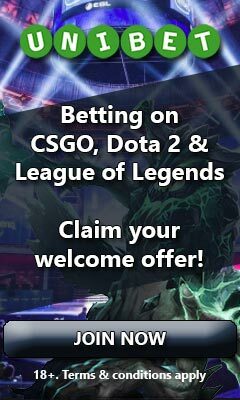 In addition to a normal cash out feature, some eSport betting sites will also offer a partial one. With this you’re able to decide how much of your bet you would like to cash out, which means that some of the originally staked money will still be left for a chance to win at the end of the match. If you bet €50, you might for instance decide to cash out €30 and leave the rest. The first and probably most obvious reason for betting sites to offer cash out is the value that it brings to us bettors. Not only do people love feeling in control of their bets, but the interaction with them makes the experience a lot more entertaining. 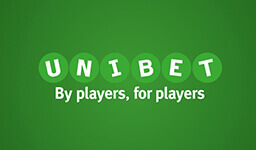 By offering cash out bookies get happier bettors and people who are happy are more likely to return to bet again, which all operators of course want. Another reason is because it actually gives the bookmaker a higher betting margin. If you haven’t heard about this term before, we highly recommend checking out our article about knowing the margins. To put it simply, this is what bookmakers make their profit from. If they estimate that a team will have a 70% chance to win a match, they won’t offer odds equal to 70% (1.43), but offer odds lower than this (like 1.35), giving them a margin to profit from on every bet. When you’re using the cash out option the bookies will benefit from this margin twice. First they’ll get it on the initial bet that you place and then again when you decide to cash it out. Should a team be ahead in a match, they might realistically have an 80% chance to win. If you’ve bet on this team you should get 80% of the possible end profit (the one you would if the team wins at the end of the match) when cashing out, but you won’t. The bookies will take their share and perhaps offer you a profit that’s equal to 75% or 70%. Does this mean that it’s a bad thing using cash out? Even though bookmakers try to make a profit out of it, there are definitely upsides to using the cash out feature. It could actually be seen as a whole new bet and every bet is an opportunity to make use of possible mistakes that bookmakers do. Just like the odds of the original bet the cash out offer is based on a prediction of both team’s current chances to win. You can make a profitable decision by making a prediction as well and using cash out only if the offer given is higher than what you predict. Should the bookies offer you 80% of the end profits and you predict that the team you’ve bet on has a 70% chance to win, it will be profitable for you to cash out the bet (if you’e correct). If it’s the other way around, it won’t. If you’re new to this kind of thinking and would like to learn more about it, we suggest paying a visit to our guide about placing smart bets. It’s not always about money either, but about having fun and enjoying yourself. The cash out option provides a way to interact more with your betting, which gives more excitement and entertainment to it. Especially so if you’re live betting while watching the match go down. What betting sites have cash out? Interactive betting has become very popular and these days it’s quite common to find the cash out feature offered by bookies. Far from all matches will have it available though so if you want the best chances of betting with the possibility to secure profits and cut losses, it’s recommended to bet with one of the best cash out betting sites. In our experience this include the bookies listed below, which are all doing a fantastic job offering the cash out feature.